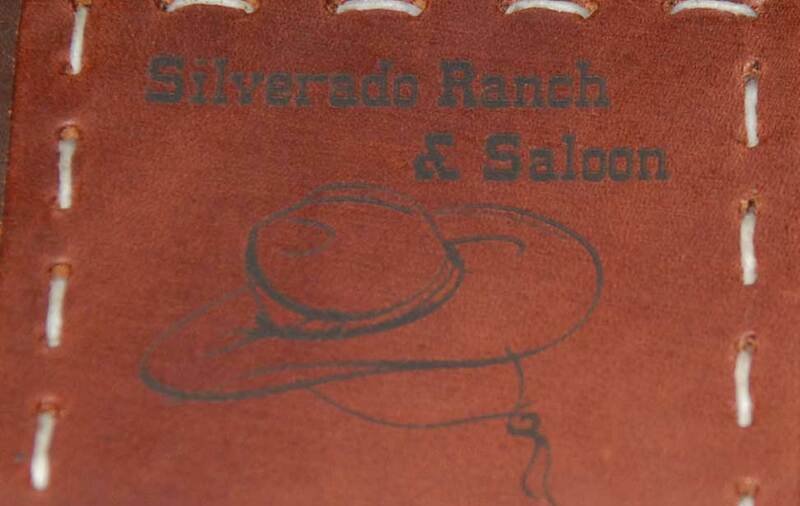 Because of its durability and nice contrast, leather is a very popular engraving material. 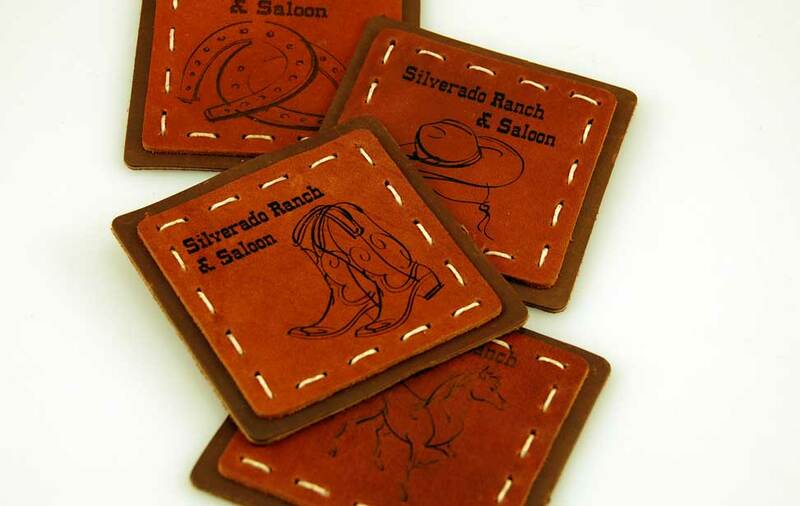 Here we have four designs with a wild-west theme perfect for these leather coasters. Whether you're customizing these for a commercial business or someone's home, these items would make a great branding tool or gift! 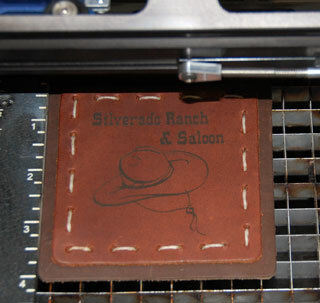 Leather coasters engrave beautifully, adding a dark mark to the material. 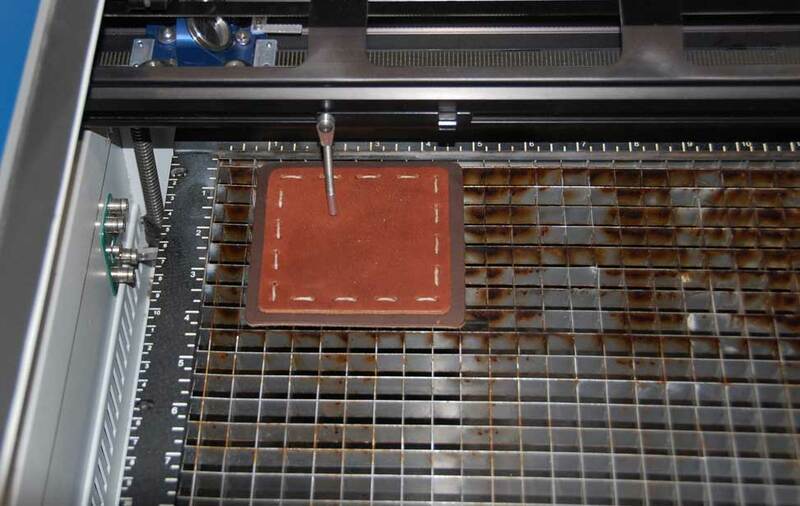 The coaster in the Zing Laser focused, and ready for engraving. 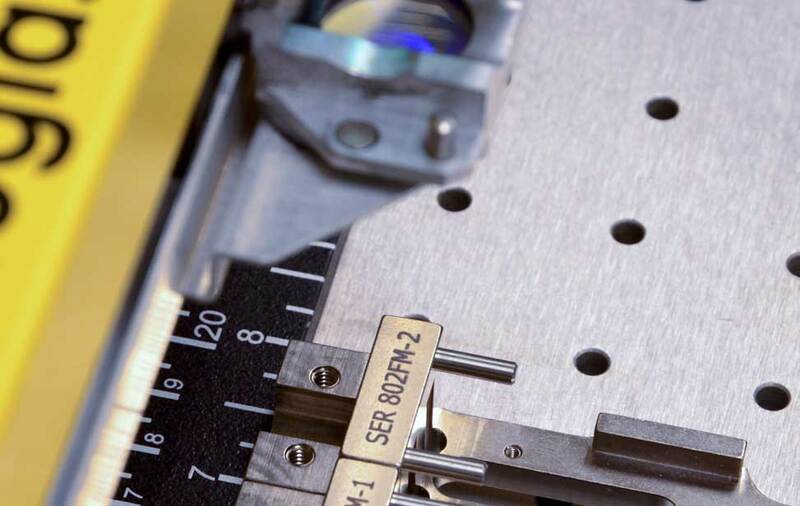 A close up of the engraving while it is still in the laser. Leather coasters - we purchased ours through Amazon. We used a 30-watt Zing 16 with the following settings: 100% speed, 55% power, 400 dpi. 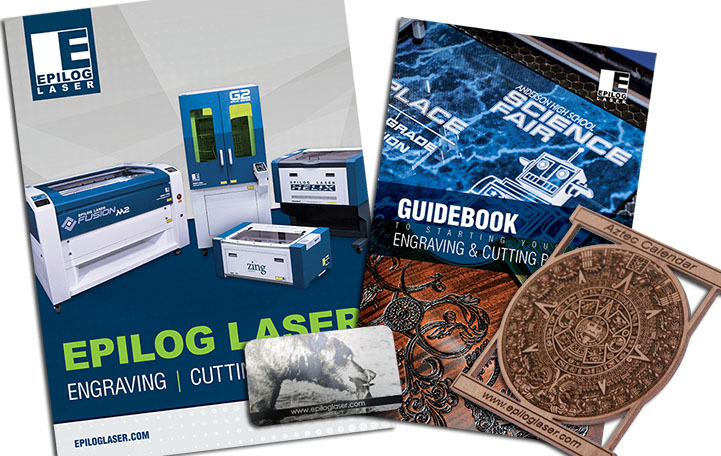 Select the file you'd like to engrave and modify it to meet your needs. 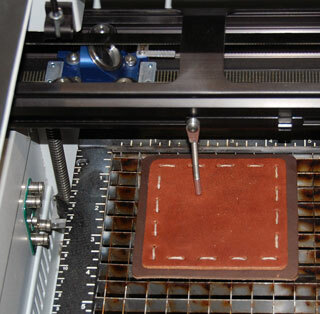 If you are using the Zing Starter Series, you'll need to manually focus the machine. You may utilize auto focus if you're working with a system from the Legend Series. 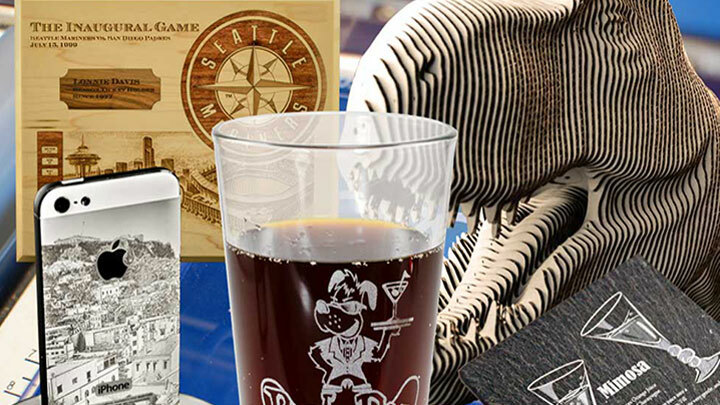 Move the coaster to upper left corner of the machine, send the job the engraver and you're all set!.